Before the Rev. 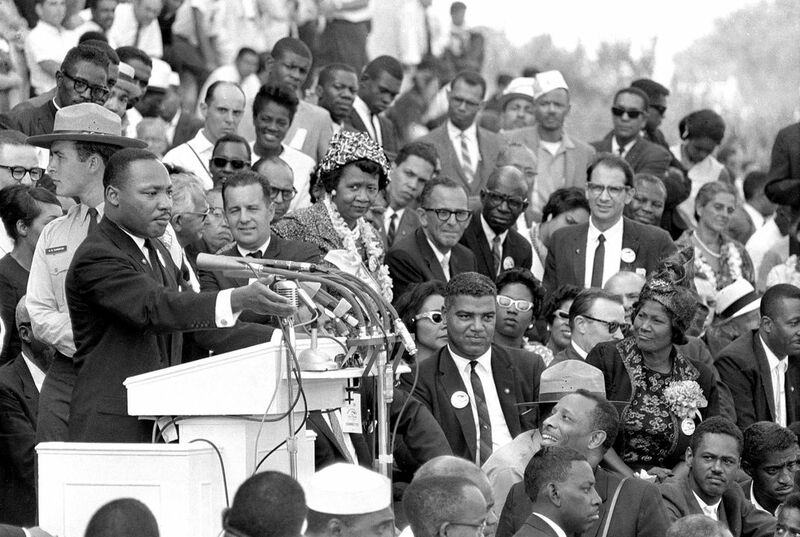 Martin Luther King Jr. delivered his famous "I Have a Dream" speech to hundreds of thousands of people gathered in Washington in 1963, he fine-tuned his civil rights message before a much smaller audience in North Carolina. Reporters had covered King's 55-minute speech at a high school gymnasium in Rocky Mount on Nov. 27, 1962, but a recording wasn't known to exist until English professor Jason Miller found an aging reel-to-reel tape in a town library. Miller played it in public for the first time Aug. 11 at North Carolina State University. "It's not so much the message of a man," the Rev. William Barber, president of the state chapter of the NAACP, said. "It's the message of a movement, which is why he kept delivering it. It proves once again that the 'I have a dream' portion was not a good climax to a speech for mere applause, but an enduring call to hopeful resistance and a nonviolent challenge to injustice." He sent emails and made calls until he eventually heard back in the fall of 2013 from the Braswell Public Library in Rocky Mount, where staff said a box with the recording had mysteriously appeared on a desk one day. Handwriting on the box described it as a recording of King's speech, and said, "please do not erase." Three people who were in the audience that day in 1962 listened again as the recording was played at the university's James B. Hunt Library. Herbert Tillman, who was about 17 years old at the time, recalled how happy they were to see and hear such an inspiring leader. I believe this document on Martin Luther King Jr’s speech had a lot to do with American culture today. Say we weren’t to find his recording and it was still there till this very day. Say we never found it, things like race would matter. People would see things differently we would possibly still have some states where having slaves are legal. If we take a moment to sit and realize that we should be thanking this teacher for finding Dr. Luther’s recording because things would be completely different without it. I believe that the "I had a dream" speech is very significant to our culture in the united states today because it changed everything. It was great that this recording was found so that it could be played to these kids, it shows them what and they get to here first hand what was a part of the drastic change in culture of the united states. If this speech was never heard live or on tape then some people would not have seen the other side of racism. Some people would still believe that, that is how it should be as some people do. The "I have a dream" speech showed the other side of culture in the USA that everybody can actually work and co-exist with each other or at least it planted the seed in someones head who later on seen that too. Which is why we have the culture of everyone being free in the USA now no matter their Color,Religion or Gender. It is connected because it allowed King to grow his original speech in North Carolina to something more inspirational in DC. Martin Luther King Jr. gave his famous "I have a dream" speech to a auditorium in North Carolina before he gave the speech on Washington. He practiced the "I have a dream" in smaller venues and improvised it into his famous speech. He used the "I have a Dream" after Mahalia Jackson shouted tell them about the dream. Recently the recording of his speech in North Carolina was discovered. 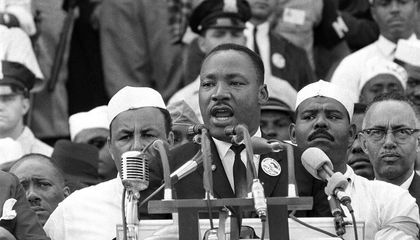 Martin Luther King Jr. is one of the great orators of he 20th century, his famous "I have a dream" speech became a mix of some of his previous speeches and his manuscript. The recording made in North Carolina and the speech Martin Luther King gave in Washington were very similar in context. They both shared the same battle cry, "Let Freedom Ring", and share important messages.